THE ACTRESS is the QTIS 3yo daughter of G1 Cox Plate and Australian Guineas Winner SHAMUS AWARD from the Purrealist Mare PURRINGA, hailing from the family of the immortal BLACK CAVIAR. 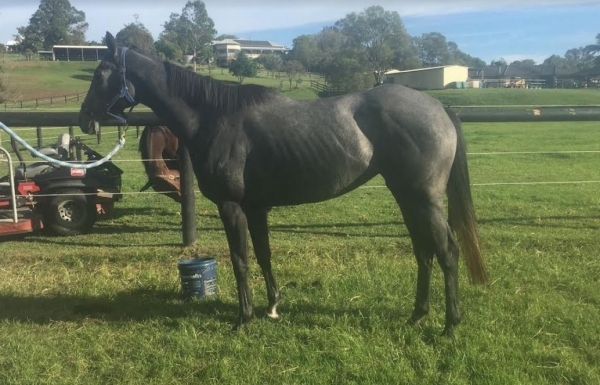 She showed good ability in her first race prep running 3rd in her first two starts over 1300m and 1400m and finished hard in the closing stages of her 1400m run. She was stepped up to 1800m in her 3rd start and again made good ground off a slow tempo from last and was then sent to the paddock. The Actress will have taken great benefit from her 1st preparation and looks the type who will return stronger and improved, with signs already that she will quickly chalk up wins. SHAMUS AWARD (AUS) (Bay 2010-Stud 2014). 2 wins at 1600m, 2040m, A$2,473,500, MVRC WS Cox P., Gr.1. Out of a half-sister to SW Ghozi. 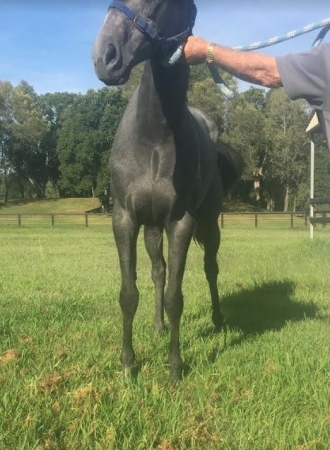 Sire of 75 rnrs, 33 wnrs, inc. SW Classic Weiwei (SAJC Port Adelaide Guineas, L), SP Causeway Girl and of Malahide, Mr Quickie, True Detective, Havana Heat, Rosina Kojonup, Stolen Away, Watchmen, Calzini, Epic Girl, Gennikay, Gumshoe, Irish Songs, Perfect Award, Sausedge, Bronski Beat, Etana, Ginuhit Ng Tadhana, etc. His oldest progeny are 3YOs. Felino Bel (f. by Bel Esprit). 4 wins-1 at 2-at 1000m, 1200m, A$75,025, to 2017-18, Ipswich TC Channel 7 H., Corona Infield Tix H., 2d BRC Mekka H., 3d BRC Val and Eddie Machin 2YO H.
The Actress (f. by Shamus Award). See below. Purringa. 2 wins. See above. You Want. Winner at 1400m in Aust. Lily's Reward. 2 wins at 1100m, 1200m in 2017-18 in Aust. Norwegian. 5 wins-2 at 2-to 1450m, A$80,837, SAJC Haden Engineering 2YO H., 3d MRC Cecil Godby 2YO H.
Midnight Blues. 4 wins from 1200m to 1600m, A$119,736, VRC Better Draw H., MRC Magic Flute H., Claudette H., 3d MRC Sandal H. Producer. Win Beauty Win. 4 wins at 1200m, 1400m, HK$4,733,100, in 2017-18, HKJC Griffin Trophy, Ma on Shan H., Yan Chau Tong H., Kose Cosmeport H., 2d HKJC Stevenson Cup, Granville H.
ICONIC (Bel Esprit). 6 wins-2 at 2-to 1100m, A$520,250, to 2018-19, MVRC Carlyon S., L, 2d MRC Rubiton S., Gr.2. MIDNIGHT SUN (Western Symphony). 4 wins. See above. FROSTY THE SNOWMAN (Christmas Tree). 4 wins-1 at 2-at 800m, 1000m, A$85,260, MVRC Mitchell McKenzie S., L, VRC Elounda Bay H., 2d MVRC Southern Cross Apartments S., L, 3d VRC Andersen Consulting S., L.
Song of the Sun (Desert Sun). 2 wins-1 at 2-at 1100m, SAJC Stamford Grand H., 2d SAJC Morphettville Guineas, L, 3d MRC Tabaret H. Producer. 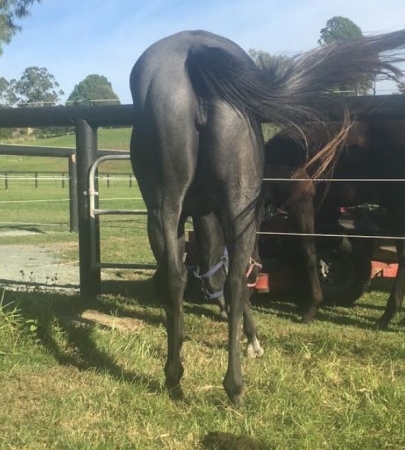 EXUBERANT (Savabeel). Winner at 2 in 2018-19, WRC Wellesley S., L, 3d ARC Eclipse S., Gr.3. 22/Jan/2019 5th of 8 --trial--GCTC Barrier Trial, 1000m. Undaunted was 1st and Exactamente 2nd and William 3rd.